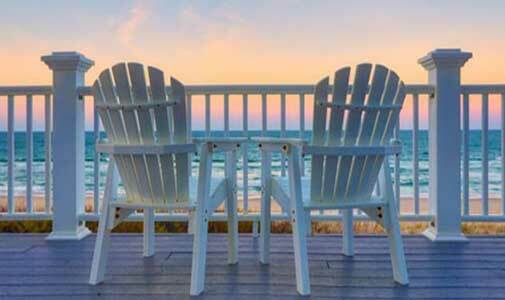 An overseas retirement offers so many benefits…proximity to other enticing destinations, a wider, more affordable range of real estate options and a more comfortable, less stressful lifestyle. In the right locations around the world, what would be an unremarkable budget in Australia or New Zealand will deliver Point Piper-style opulence. We have homed in on retirement havens worldwide where a better bang for your buck lets you upgrade your lifestyle to luxury levels. Here are five places where retirees can live like the rich and famous, without their bank balance, in Italy, Bali, Costa Rica, Portugal and Colombia. The sophisticated Italian lifestyle attracts the rich and famous in droves—including none other than George Clooney and his wife Amal in Lake Como. Johnny Depp, Sir Richard Branson and Leonardo DiCaprio all make Italy their home for part of the year, too. With superstars like these, many retirees wrongly assume that Italy, with its rich history and culture, is outside their budget. However, in the likes of Arezzo, hometown of director Roberto Benigni, life truly is beautiful and affordable. It is easy to see why Benigni used his hometown as the set of his Oscar-winning film Life is Beautiful. “Elegant yet unhurried, the city brings together the best of old and new Tuscany with an easy-going lifestyle and fewer tourists than you’d expect in a culturally rich and attractive city,” says IL Italy Correspondent Valerie Fortney-Schneider. “It’s hard not to draw parallels to Florence as you walk around Arezzo. The pleasant pastel and stone buildings along cobbled lanes blend many similar medieval and Renaissance styles as the more famous art city that is just about an hour away. 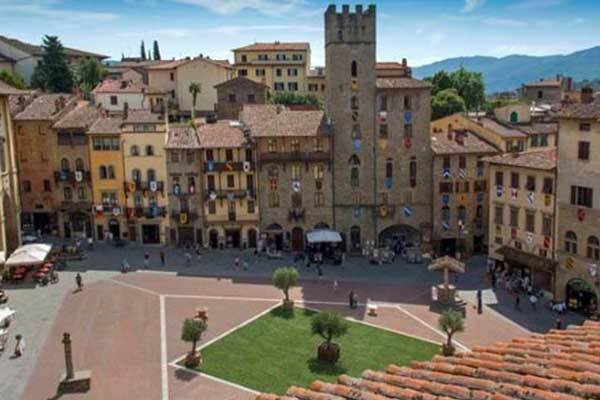 Arezzo also fell under the realm of the Medici’s grand duchy for a time and shades of Florence abound in its public buildings, aristocratic palaces, churches and artwork. “Ground-breaking artwork by Renaissance masters are scattered in museums and churches all around Arezzo. With just under 100,000 people, it is a good size to offer everything you want while still being manageable and personable. Even better, it doesn’t have the millions of tourists traipsing through its streets every year like Florence. “City parks offer green space and the forested foothills of the Apennine Mountains start just outside of the city. Arezzo sits close to the Umbria and Le Marche borders, making it easy to organise day trips around the area. And connections are great for getting further afield around Italy and Europe, too. Here, a movie-star budget is not required to live the good life—a couple could live well on a monthly budget of $2,150. “David Bowie began his love affair with Bali way before he honeymooned on the island in 1992 and since then many celebrities have visited,” says IL Bali Correspondent Josephine Brierley. “In 2018, Kim Kardashian, John Legend and Pink, just to name a few, all chose Bali as their holiday destination. Instagram was overflowing with photos of temples, beaches, jungle swings and massive, over-the-top villas. 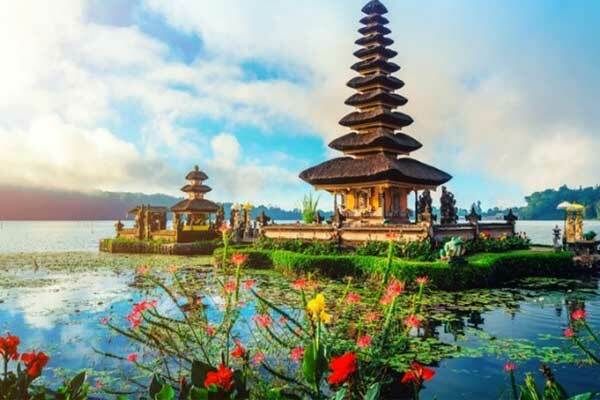 But you can stay in Bali and enjoy all of the same sights, experience all of the same beaches and even indulge in a private villa for a fraction of the cost. “Private villas perched high on clifftops or with oceanfront views are easy to find with a quick search, and you could hire a local driver to tour the popular places from around $65 a day. The tropical climate of Bali has enticed retirees for many years and it offers a relaxed, simple lifestyle with world-class dining at very affordable prices. Here, retirees can enjoy a comfortable life with a budget of around $1,600 a month. Push that to $2,500 and you will really be enjoying the high life. 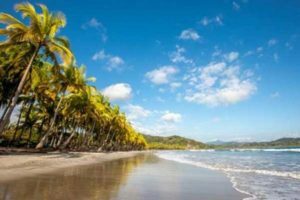 Costa Rica has long been a much sought-after holiday destination but it’s also become a popular spot for longer stays. Super Bowl star Tom Brady and his wife, model Gisele Bündchen, are regular visitors to Costa Rica’s Pacific coast. On the far tip of the Nicoya Peninsula, the fishing village of Montezuma is great for those looking for a laidback destination. There is no major development and the town centre has just a few restaurants, hotels and shops. The roads on the way to this part of Costa Rica can be rough, especially in the rainy season from May to November, but it’s well worth visiting this area on the Pacific. Here you can get a sunrise instead of sunset because it’s on the east side of the peninsula. The beach is an easy walk from town, where you’ll find a unique freshwater waterfall right on the sand, with pools for soaking and swimming. “Since Montezuma is off the beaten path, there are still good real estate rental deals to be found,” says Kathleen. “You can find a two-bedroom place to rent for anywhere from $700 to $1,400 per month. Portugal attracts the crème de la crème of A-listers, from Scarlett Johansson and Bryan Adams to Sting and Michael Bolton. But it’s the favourite summer retreat of the former royal family, Sintra, that stole Madonna’s heart. Sintra is located northwest of Lisbon, perched on a sometimes mist-covered hilltop surrounded by a pine tree-filled national forest. It is packed with opportunities to explore—from the gothic-style National Palace in the centre of town to the ramparts of the 8th-century Moorish castle. The remarkable Convento dos Capuchos monastery is built into a stony hillside, while Quinta da Regaleira features an elaborate, Harry Potter-esque palace—complete with gargoyles, a chapel and an expansive park boasting a lake, grottoes and fountains. 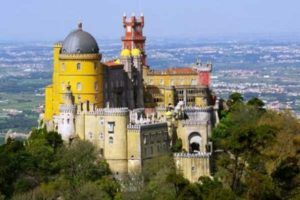 Perhaps the town’s standout attraction is the pastel-painted Palace of Pena, a 19th-century Romanticist marvel sitting high atop Sintra’s hill, surrounded by pine forests—the pink turrets, daffodil-yellow tower and monstrous gargoyles are incredibly striking. A glorious example of 19th-century Romanesque Revival architecture, the Palace of Pena is recognisable for miles due to its location on one of the highest points in Sintra and its vivid colours. Explore the palace’s lovely park, with walking paths, hiking trails, moss-covered rocks and meandering streams. Visit the farm and stables, where you can arrange for horse, pony or carriage rides. A couple could live well in this arts-rich tourist town on a budget of $4,300 a month, though on less elsewhere in Portugal. Cartagena is one of Colombia’s most popular tourist destinations thanks to its interesting history, excellent cuisine and amazing shopping. Located on the Caribbean coast, 412 kilometres from the Panama Canal, Cartagena is a major seaport for both commercial shipping and holidaymakers on cruise ships. And the chances of rubbing shoulders with the glitterati are on the rise here as more and more discover the delights of city—just like Mick Jagger and Justin Bieber have. The city is a UNESCO World Heritage Site. 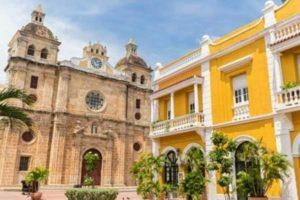 Although it gained its independence from Spain on November 11, 1811, Cartagena retains much of the original, colonial architecture. As you walk through the old city, you will find narrow, cobblestone streets, old churches, museums and restaurants, and shops housed in colonial buildings, making you feel like you have stepped back in time. 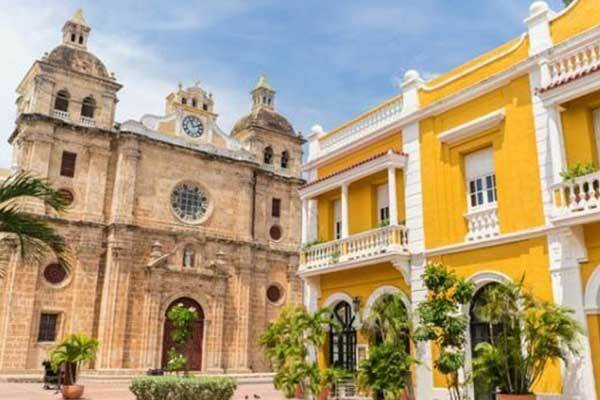 Oozing history and romance, Cartagena’s centre is surrounded by the historic city wall, with the Clock Tower (Torre del Reloj) overlooking the main entrance. Sections of the wall have steps that let you walk along the top. Many residents like to stroll along the wall, warmed by ocean breezes, to take in the breathtaking views and listen to the waves crashing on the shore close by. There is a large expat community who enjoy the many benefits of retiring in Cartagena. There are many recreational activities including boating, swimming, bicycle riding around the city and playing golf. It is easy to lead an active, vital life in Cartagena. Shopping is exceptional in Cartagena. Upscale boutiques, local artisanal shops and sidewalk vendors provide a variety of options for every budget. Emeralds are an especially popular item. Despite the glamour, a couple can live well here on a monthly budget of $2,300 to $2,800, depending on the lifestyle they choose. Just over an hour’s flight from Cartagena is Colombia´s second largest city, Medellín, where famous American singer and songwriter Nicky Jam resides. Tucked into a valley surrounded by the Andes Mountains, the City of Flowers enjoys a spring-like climate year-round, which attracts retirees looking for an active, outdoorsy lifestyle with all the benefits of a city. With over 30 universities, an array of art and history museums, theatres, restaurants and several sports complexes, Medellín has a cosmopolitan vibe. The Metropolitan Theatre presents a varied program of international classical music, jazz music and dance performances. The Museo de Antioquia, located just off the Parque Berrio Metro stop, is home to a large collection of paintings and sculptures by Medellín native Fernando Botero. Living in Medellín is less expensive than many comparable cities in Australia and New Zealand. A couple could live well on a budget of $2,000 to $2,800 per month.